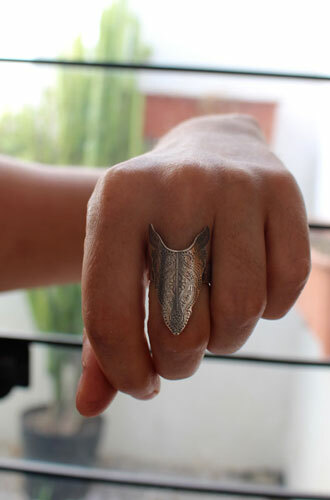 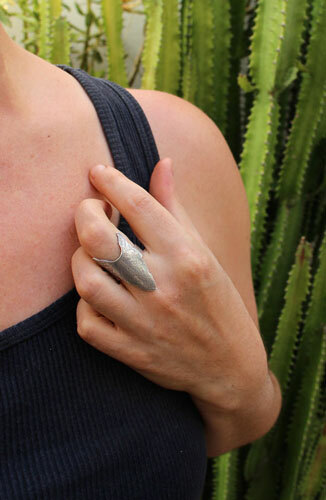 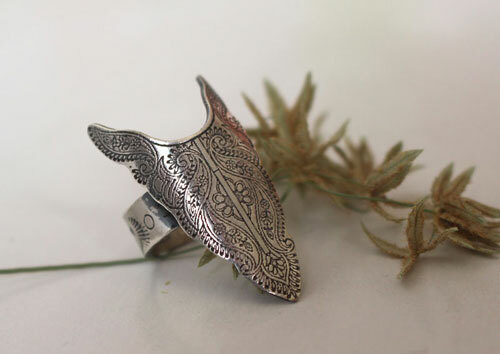 The buffalo is the totem animal in the Amerindian culture: it was source of food, its bones were used to make tools, its fur would be used to make clothes or to make tipis etc… this ring is not a magic ring but I hope it will help you the abundance around you, even when you will have the impression it is not here. 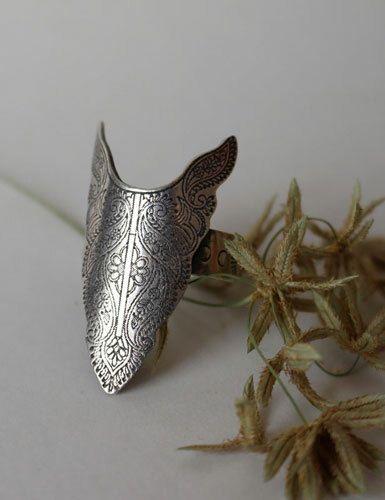 If you would like the same ring with a different size, feel free to contact me for a custom order. 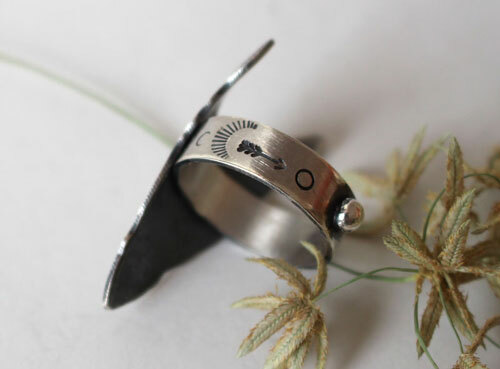 Tag: ring, sterling silver, buffalo, bison, arrow, tribal, engraving, oxidized, black, white, wing, promise ring, symbol, mother’s day, American, indian, Amerindian, totem, abundance.